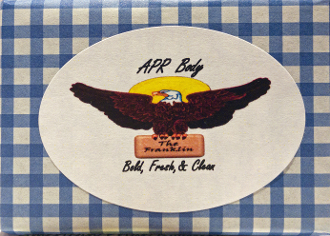 Our APR Body Coffee Soaps are free from harmful ingredients, chemical fragrances, and detergents. Each three butter bar includes the moisturizing properties of Shea butter, cocoa butter, and mango butter. APR’s Franklin blend coffee is ground extra fine and added to the soap providing the benefits of reducing redness and inflammation, exfoliates, tightens, and brightens the skin, reduces eye puffiness, shines, enhances the color, and stimulates hair growth. You also get that bold APR coffee aroma - a fresh and clean start to your day!